Spokane poet Dan Butterworth, who's also a professor of literature and writing at Gonzaga University, is the first guest for this year's Visiting Writers Series. Gonzaga hosts several writers and poets annually as part of the series, organized by the university's English department and College of Arts and Sciences. Featured artists read their works aloud, take questions from the audience and discuss their careers and creative processes. The Visiting Writer Series this academic year also hosts poet Brenda Hillman (Oct. 21), writers Joanna Luloff (Nov. 20), Douglas Kearney (March 25) and Michael Gurian (April 15); and Pulitzer Prize winner Marilynne Robinson (Feb. 18). Butterworth's writing has been published by Algonquin Books and Lost Horse Press. 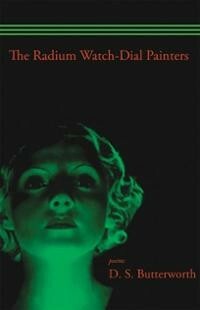 Radium Watch Dial Painters, a compilation of his poems, is a finalist for the Washington State Book Awards. Tonight, he reads excerpts from this book in the Cataldo Globe Room at 7:30 pm. The event is free and open to the public.